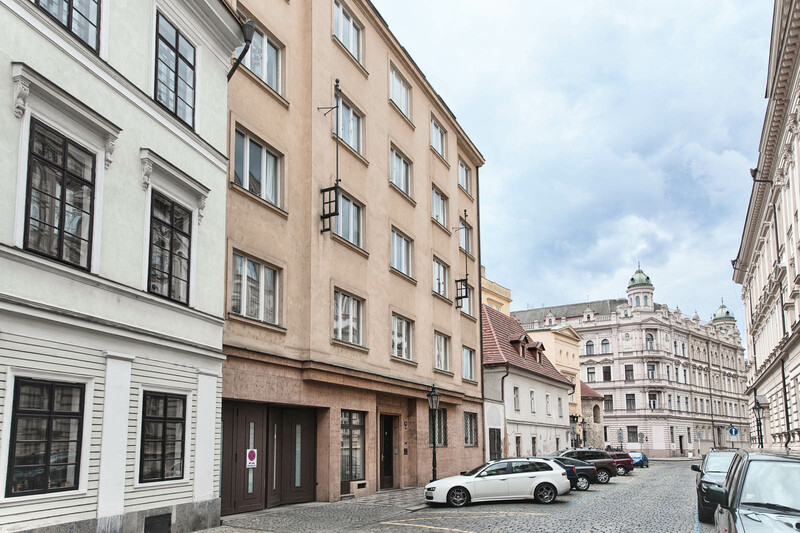 This spacious 2 bedroom apartment is located at the 2nd floor of the functionalistic house in the heart of the Old Town. However is located in the very central position, the street is very quiet, with an easy access to all major sights, venues and attractions. 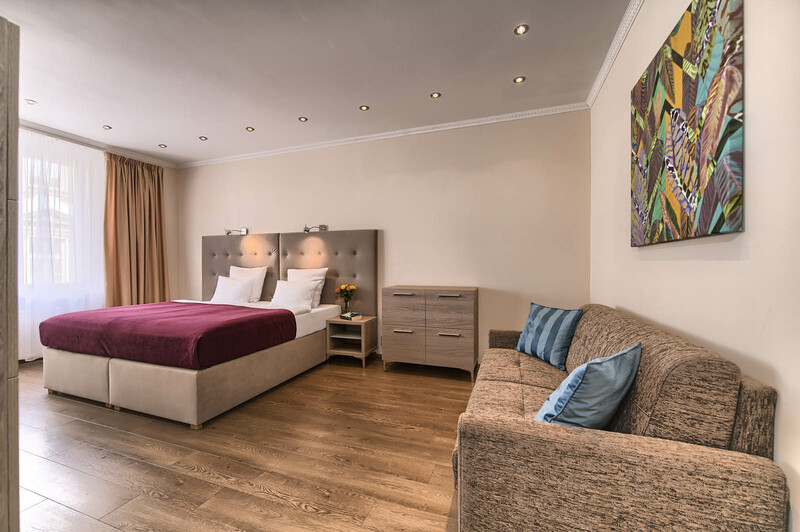 The apartment itself features 2 very spacious bedrooms, each equipped with king size double bed, working desk and additional roll-away sofa, which is highly appreciated by families travelling with a small children. 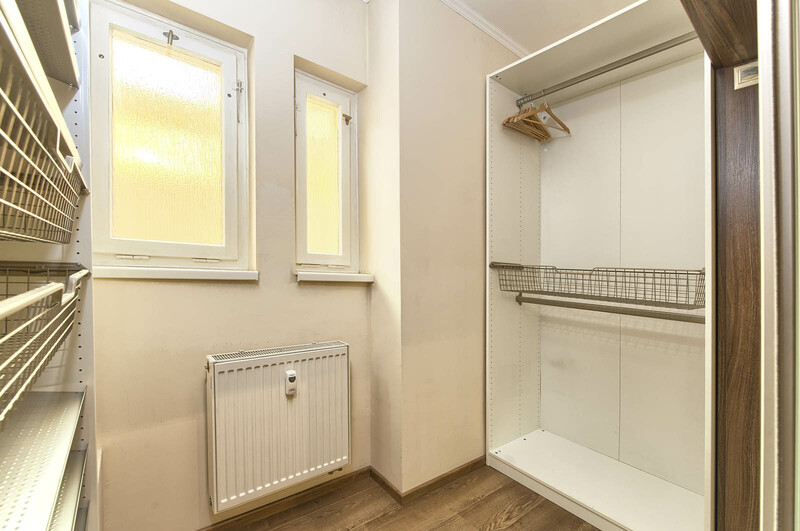 There is also a plenty of room for your belongings in both bedrooms. 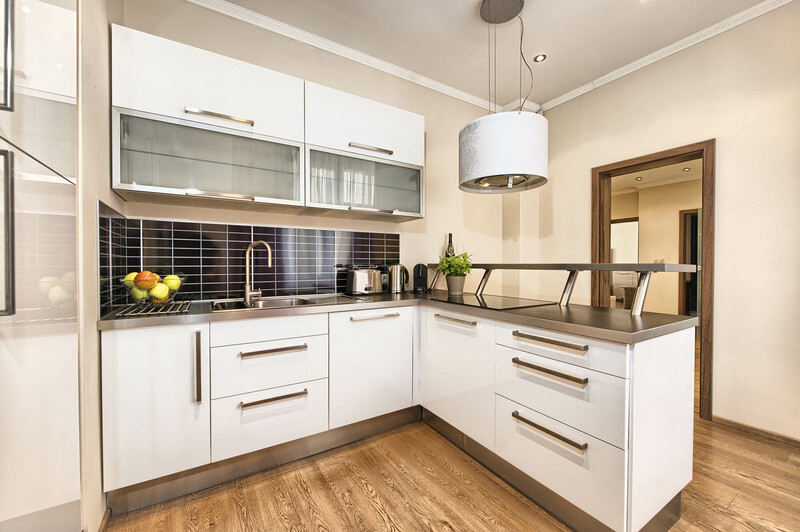 The apartment offers one bathroom (full size bathtub and shower corner to choose from), well equipped kitchen with all appliances to prepare simple breakfast in the morning as well as several course dinner for the entire family. 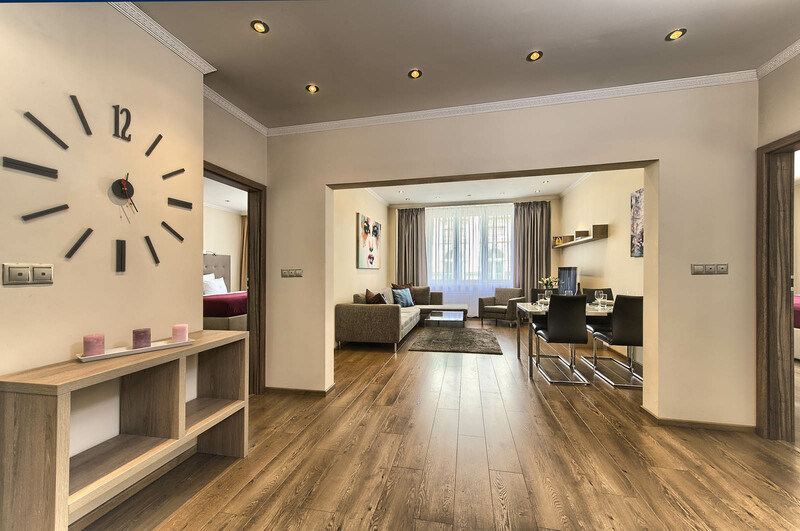 The very well illuminated living room is perfectly placed between the bedrooms, thus guarantees absolute privacy and flexibility for socializing. The dining is integrated into the living area. 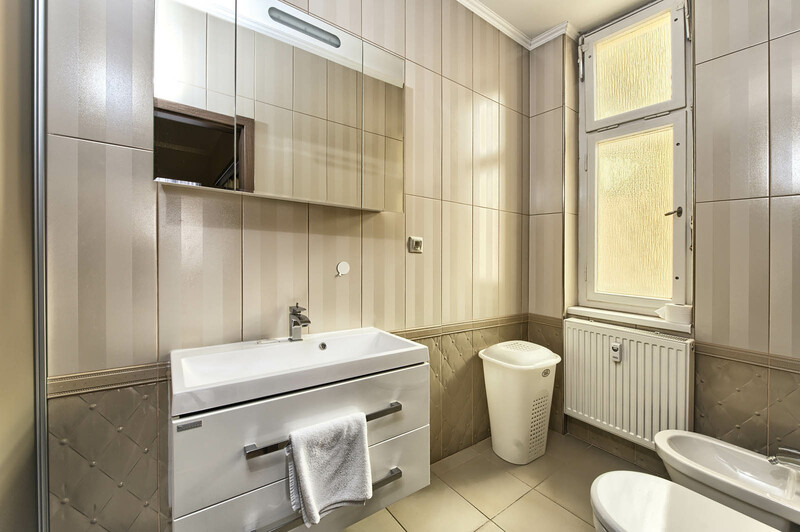 On the top of that there is additional toilet for your guests and standalone walk-in wardrobe. 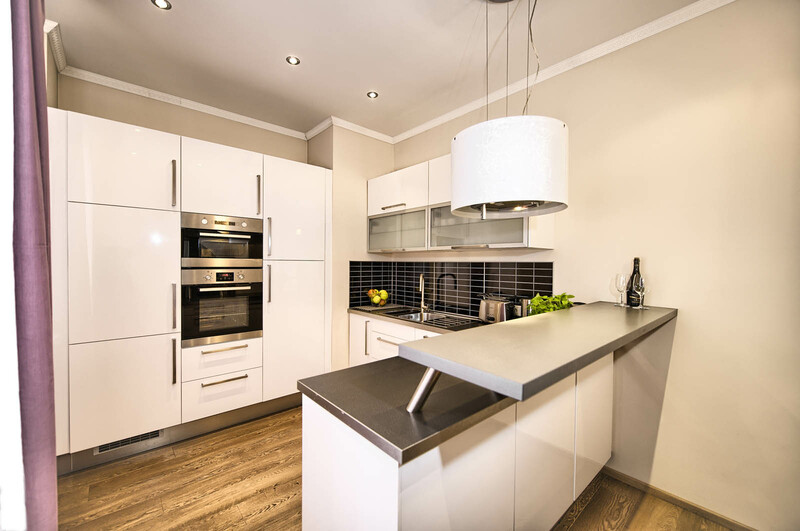 The entire apartment is designed to modern, fully functional style, painted with bright colours. 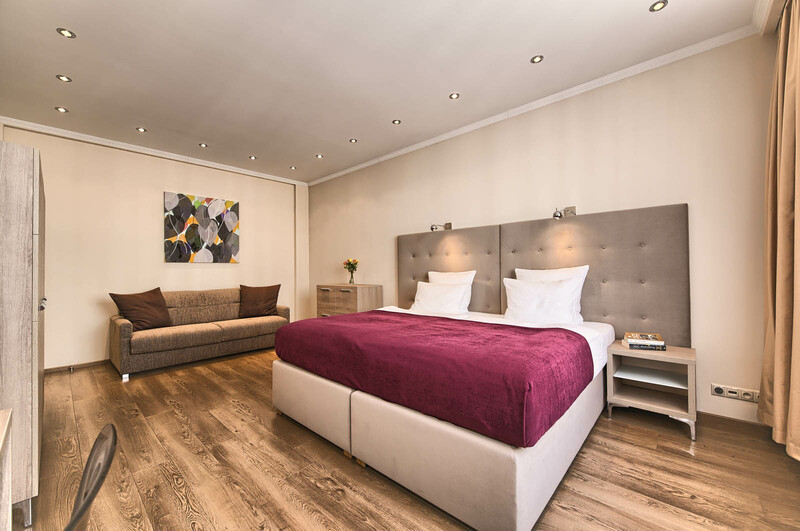 This is our second time staying with Prague City Apartments and we have been very happy with both apartments (Karolina two years ago and Konvikt). 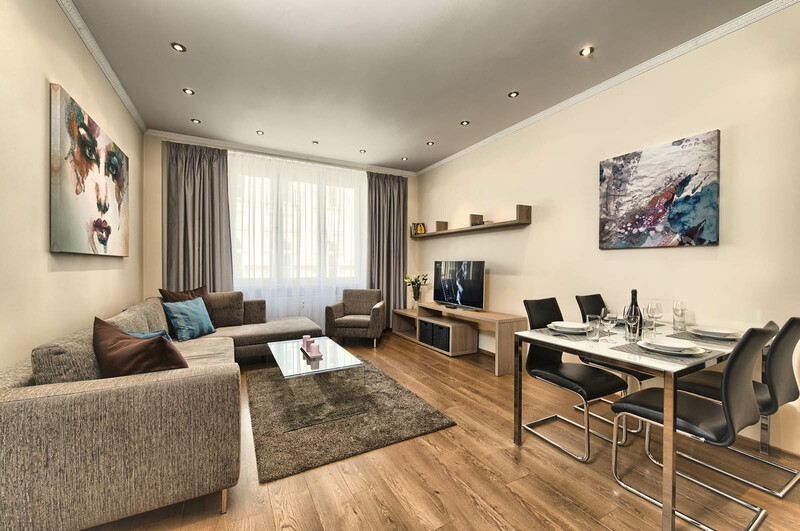 Konvikt 10 is a very spacious apartment that has everything you need for a comfortable stay. Because it's in the city center, you will hear noise from the street at night and into the early morning hours but it's to be expected, in my opinion. 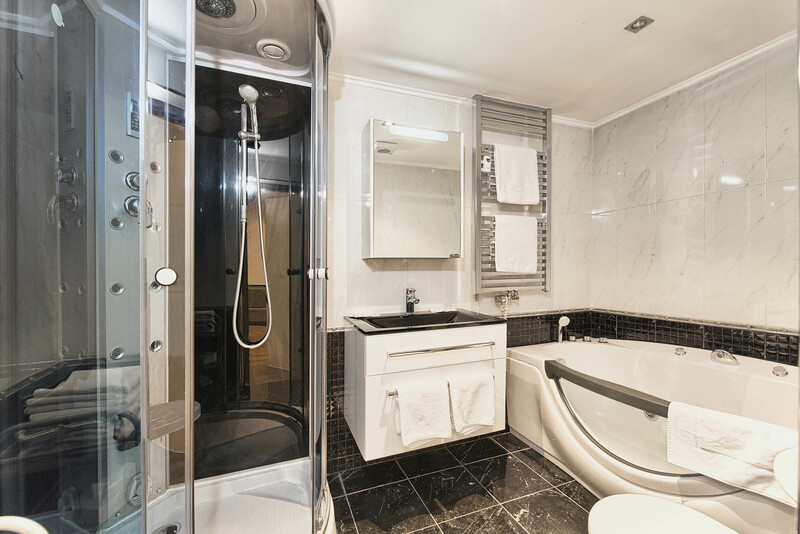 There is two bathrooms (one with a shower), which is really useful when you have 3-4 people staying together. There is a Nespresso machine, which was nice in the morning but they don't restock so bring some capsules. 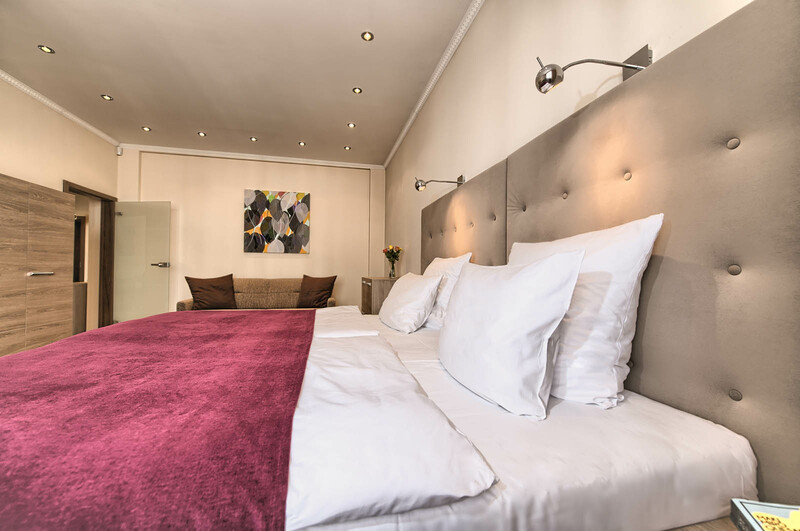 The bedrooms are huge and comfortable. You can't beat the location. You really can walk to everything! 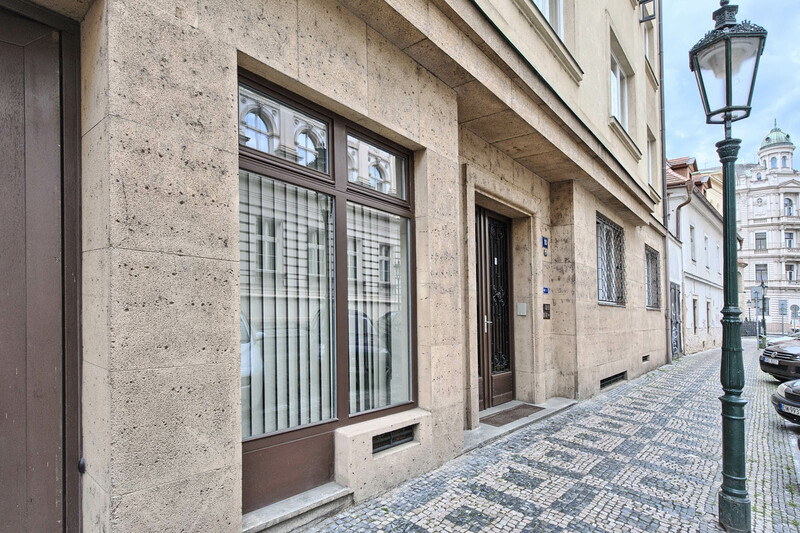 I will definitely recommend Prague City Apartments to my friends and colleagues. Check-in/out was very easy and everyone we worked with was very nice, helpful, and professional. Definitely schedule the transportation to and from the airport/train station. It is worth it and a reallygood price! It's a wonderful experience staying at this apartment. Staff is helpful and friendly. 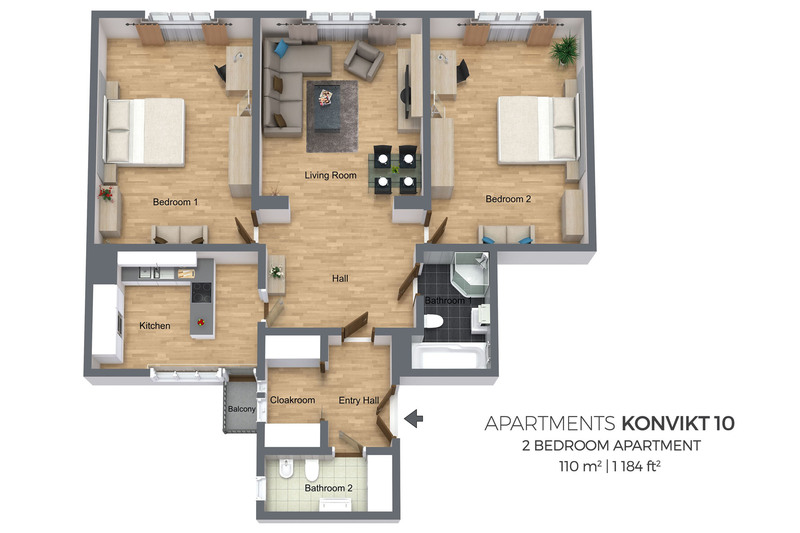 Apartment is very close to all mutst-see attractions. This is definitely a great choice for all traveller. Some parts of the shower and bathtub were chalky, also the bar in the kitchen didnt feel clean. The bed lamp above the right lamp dripped oil (reported to reception). the curtains of the left room didnt close. But the rest and the design were so fine. Where did you buy the furniture ?